Agnes M. Fullenkamp, 101, of West Point, Iowa passed away at 1:55 a.m. Wednesday, January 23, 2019 at the West Point Care Center. Agnes was born on November 4, 1917, in Houghton, Iowa, the daughter of Joseph and Diena (Holtkamp) Bentler. On January 31, 1940, she married Adrian “Abie” Fullenkamp at St. John the Baptist Catholic Church in Houghton, Iowa. Abie passed away on December 1, 1997. Survivors include her five sons: Ray (Becky) Fullenkamp, Dan (Deb) Fullenkamp of West Point, Will (Chris) Fullenkamp of Fort Madison, John (Jill) Fullenkamp of Danville, Jim (Sandra) Fullenkamp of Irving, California; three daughters: Jeanne Griswold of Fort Madison, JoAnn (Danny) Lampe of West Point and her very special daughter, Judy Fullenkamp of Burlington; one daughter-in-law: Carol Fullenkamp; some of her greatest loves were her many grandchildren; the thirty-two grandchildren; seventy-four great-grandchildren and eight great, great grandchildren. She's also survived by her two brothers: Frank Bentler of Ft. Madison and Tony Bentler of Mt. Pleasant; one sister: Rita Meyer of Davenport; sister-in-law: Ann Bendlage; her many nieces, nephews and so many wonderful friends, as well as her West Point Care Center family. She was preceded in death by her parents; one son: Ron; one son-in-law: Pat Griswold; two brothers: Louis and Leo Bentler; five sisters: Claire Pranger, Rosina Sanders, Gertrude Berg, Dorothy Pollmiller and Mary Menke and one grandson-in-law: Greg Menke. Agnes graduated from St. John's Catholic School, Houghton, Iowa. She was a homemaker and mom throughout most of her life. She worked as a sitter at Sacred Heart Hospital, Ft. Madison after her children were raised. Agnes was a member of St. Mary of the Assumption Catholic Church, the Daughter's of Isabella, the West Point Garden Club and St. Mary's Altar and Rosary Society. She was an avid card player, enjoying many games with her many friends, as well as children, grandchildren and great-grandchildren. She loved all of her family and friends very much but showed no mercy when she was playing cards. Her favorite year was 2016 when the Cubs won the World Series. She was told she would have to wait one-hundred years for that so she did. Friends may call after 12:00 noon Friday, January 25, 2019, at St. Mary of the Assumption Catholic Church in West Point where the family will receive friends from 3:00 p.m. to 7:00 p.m. A Parish Rosary will be recited at 3:30 p.m. and a Christian Wake Service will be held at 6:00 p.m.
A Mass of Christian Burial will be held at 10:00 a.m. Saturday, January 26, 2019, at St. Mary of the Assumption Catholic Church in West Point with Father Dennis Hoffman as celebrant. Burial will be at the Calvary Cemetery, West Point, Iowa. In lieu of flowers, a memorial has been established in her memory to the Holy Trinity Capital Campaign or Calvary Cemetery. To plant a tree in memory of Agnes M. Fullenkamp, please visit our Tribute Store. 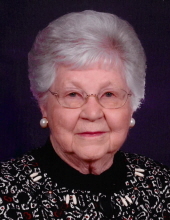 "Email Address" would like to share the life celebration of Agnes M. Fullenkamp. Click on the "link" to go to share a favorite memory or leave a condolence message for the family.